You would expect grounds to all be the same, however it is in reality the stake in the ground at your electrical utility box. For most of the United States, power comes into the house as three wires. Two sides of a transformer which is power and a common neutral/ground. 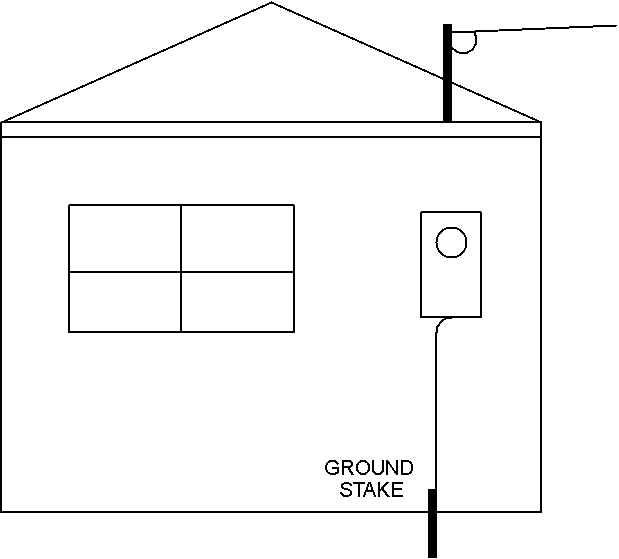 This neutral or ground is then connected to the stake in the ground at your utility box. There is much discussion on whether or not you should use isolated grounds in your lighting. With the success of the un-isolated protocols, DMX and Renard, isolated grounds are not generally required. However, if you plan on running an extension cord over to your neighbors house to help pay for the electricity over the holiday’s, this may be a problem. You neighbor will have the same stake in the ground at his power box. There will be a difference between his ground and yours, which you will discover when you try to power your lights. Same rule goes for running a generator, make sure that this ground is common to your house ground before hooking up your equipment. In normal electronics grounds have two main purposes, safety and to reduce noise emissions. Generally for safety, the bare wire in the circuit is hooked to the metal case of your equipment. The metal case is always at ground and provides a safe to touch enclosure. If you are using plastic cases you have no safety ground in your system for the 115 VAC power. Be careful to ensure that the power is correctly wired. Nominally, the black wire is hot, and the white is neutral, with the green being safety ground. Reducing noise emissions in not generally an issue with the hobbyist, unless your electronics is interfering with FM transmissions or your wireless. Normally, to reduce emissions, the electronics is placed in a metal housing to shield the noise and careful attention is payed to the grounding of the circuits to ensure that the noise is taken care of at it’s source. And lastly, there is the possibility of a lightning strike. If you look at all of the current controllers available, there is no lightning protection. This also applies to the Ethernet controllers, which mainly use the WizNet modules. So if you have a mega-tree or prop that is high in the air, and you are in lighting country, it would be worth your while to put up a lighting rod with a heavy wire to a stake in the ground. This will protect your electronics, which will have a much higher impedance to ground.